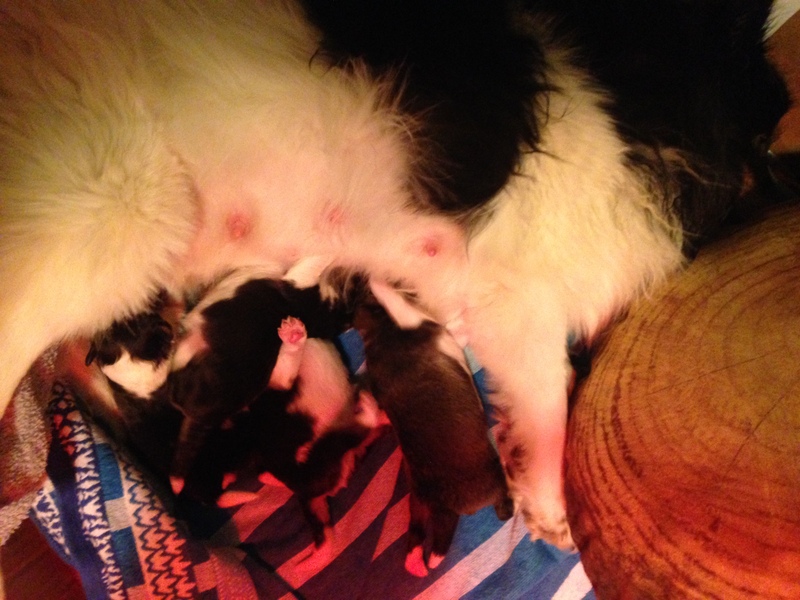 today I want to show you a few pictures and a little video of Aimée and her puppies. 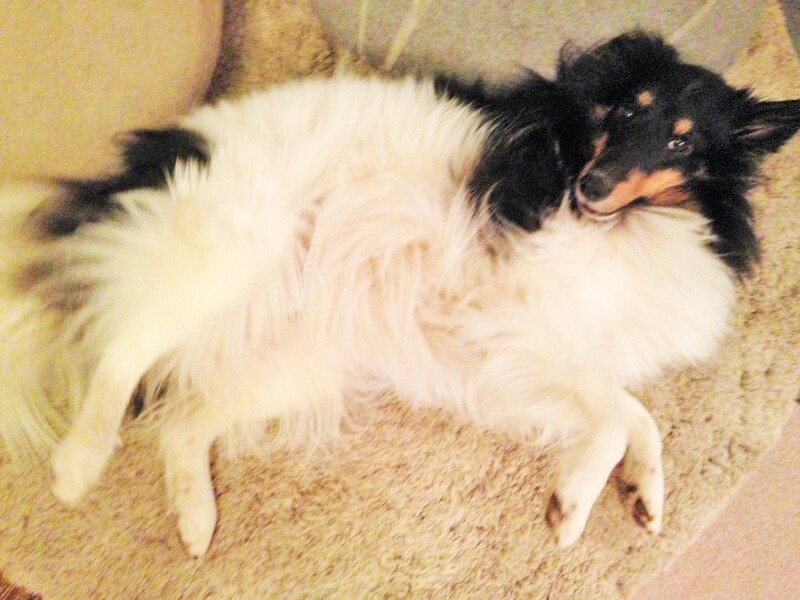 A cute healthy adult dog of two and a half years – old enough for puppies?! 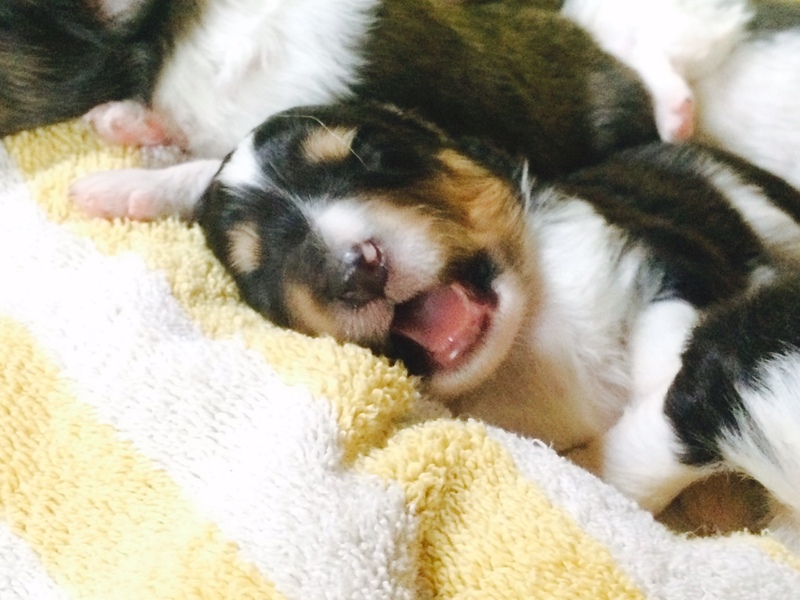 Perhaps you read on instagram or in other articles, that we have puppies since march, 11th. 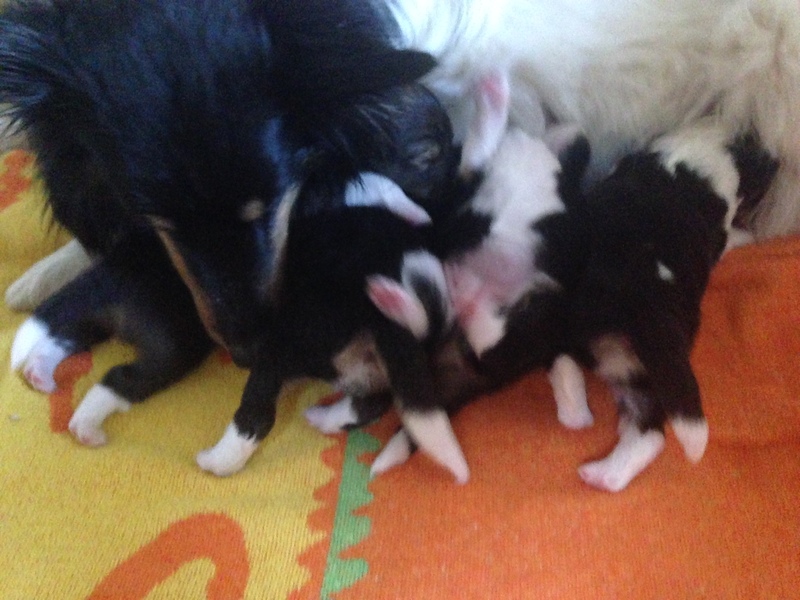 Because the time seemed good for such a „project“, we wanted to give our sheltie girl the possibility to be a mom this year. 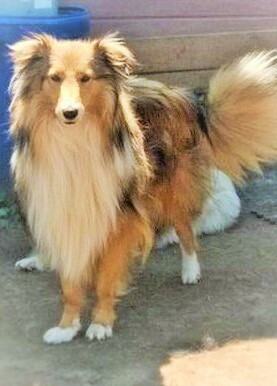 Belsi, a really handsome and rewarded male dog with a very good character. 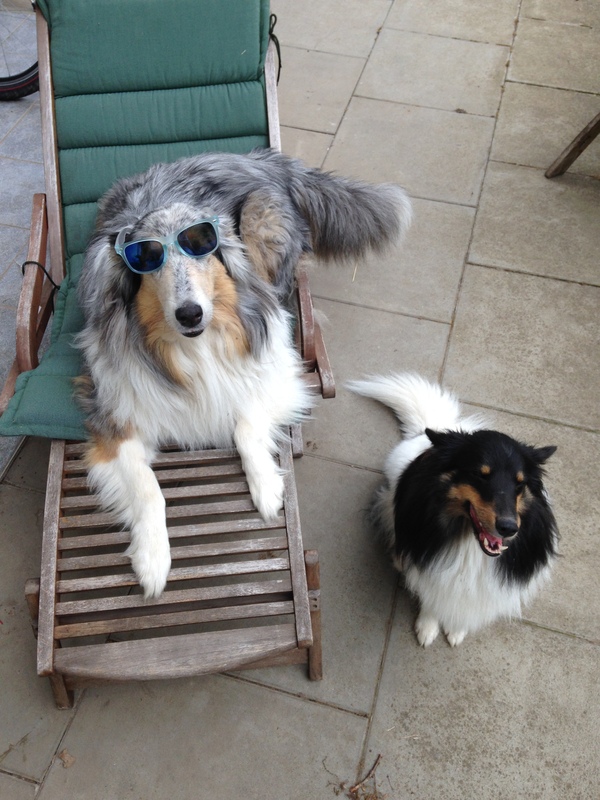 So we braught Aimée to a handsome sheltie named „Belsi“. There was no doubt about them feeling attracted to each other! 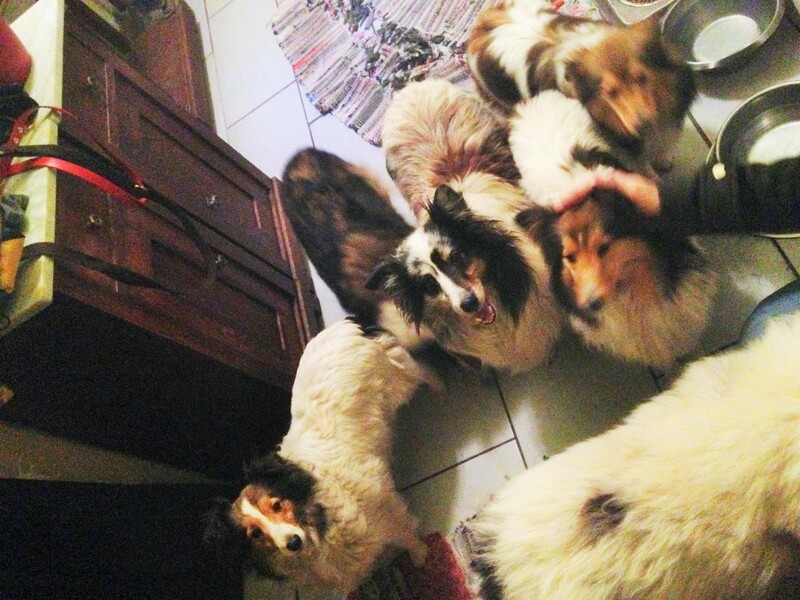 While visiting the breeder from the „Shelties of the Charly Blaze and Riverhill´s“, where Aimée was born two years ago, we met a lot of Aimée’s relatives ... (Hompage Shelties of Charly Blaze). Herr Werner is also the breeder of the great „Belsi“. He has 3 male dogs for breeding. After playing a little bit together, „it“ happened. when they had come together, they stayed about 15 min in the position shown above… It was dark and I had no time for photos… I was astonished that the probality to become pregnant after „coming together“ is about 95 %. 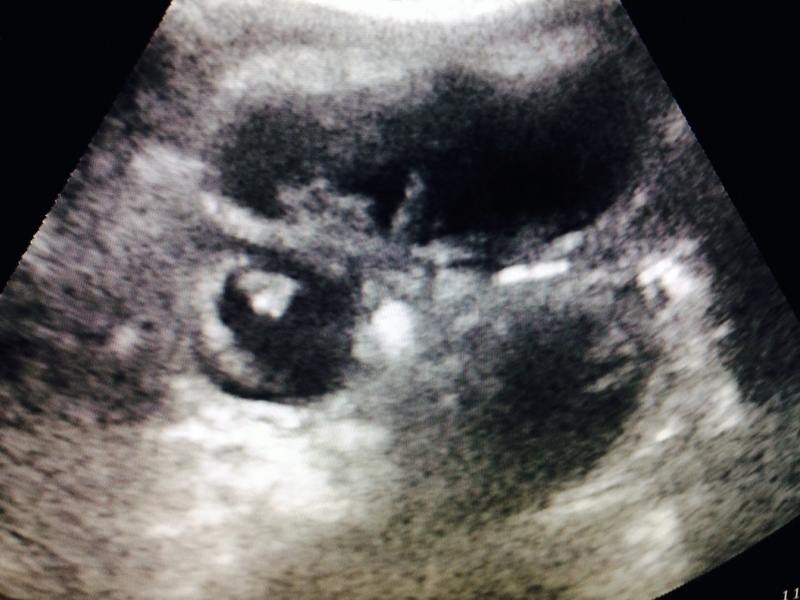 On the ultasound images made in the 4th week after the conception, we could clearly detect the pregnancy! . 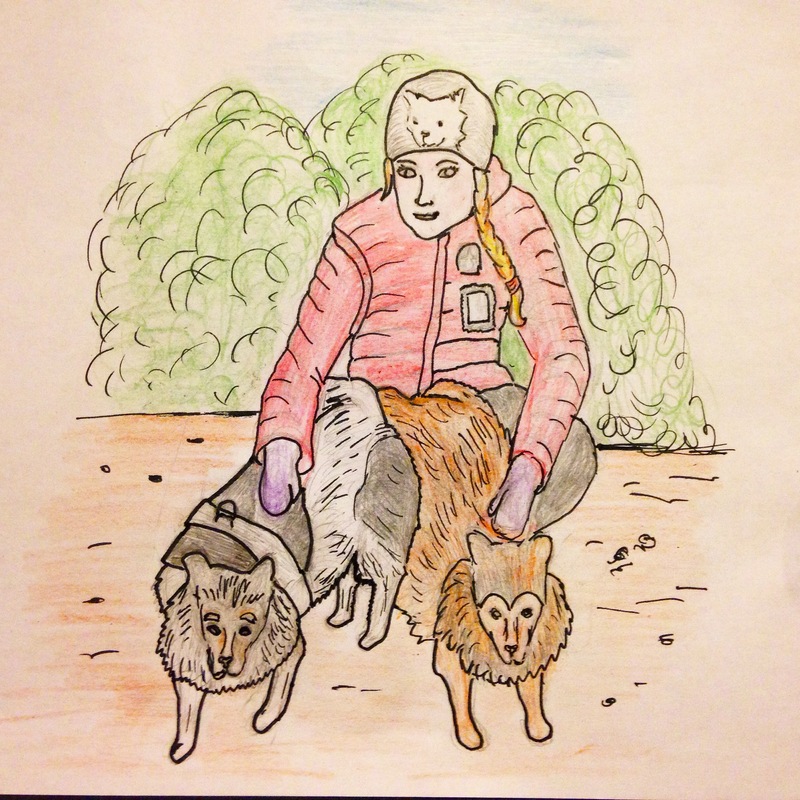 Aimée always liked to walk through the woods with her friend, the collie Luna until the day she delivered. Above you can see an impression of the puppy box a few days before the delivery. It was also a great place for my son… We removed the pillows from the box before the puppies got in it! For the puppies, we put towels in it which we changed how often it seemed necessary. The conception days were january 7th and 8th. March 11th would be the day when we would finally see the fruits of the union. In the evening hours, Aimée seemed a bit restless, while my son wanted porridge. So I left her alone for a moment and went downstairs to make some caramel porridge. After about 3 minutes, I told my son to look for Aimeé and immediately he shouted: „Momi, the first baby is already there!“ I turned off the oven and looked at Aimée. He was right, the amnion with the puppy dropped out at that moment! 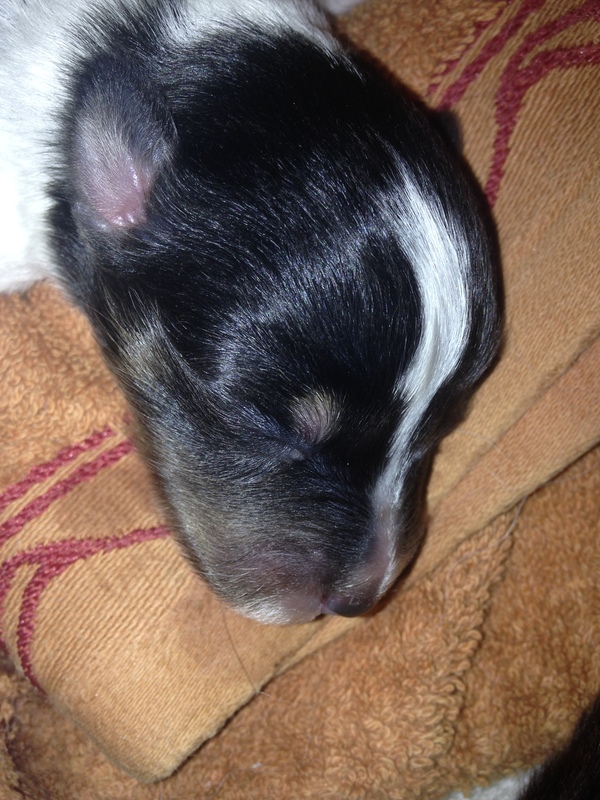 If you want, you can take a look at the birth of the second puppy on my new youtube channel. I had to help it a little bit to get out, because it stayed stuck for too long. We waited until the first baby (Nelly, the smallest one) was born and then we switched places to the confortable puppy-box with infrared light and clean towels. Furthermore, we had bought a coloured collar for every puppy. 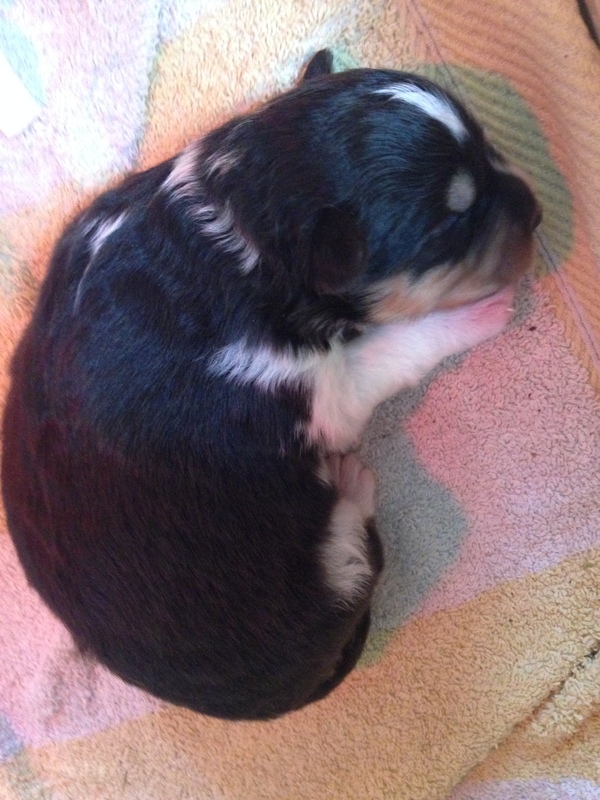 After that, I called my husband and close friends of us – they wanted to see the delivery too (later on, they surprisingly decided to keep one of the cuties…). Aimée tried her best, but sometimes she would seem a little bit unsure – then we would help her with the next step. She seemed grateful for our support. We took care the babys learned as early as possible to drink, and when the next baby came, we checked if our girl would need some help. 4 babys were born in about one hour and 40 minutes. After their brave mom Aimée fed and cleaned the babies, she went into the garden. It´s important that after every feeding the little ones be massaged by the motherly tongue, otherwise they get problems with their digestion. We cleaned the place with new soft towels and weighed everyone. We knew most people do it immediatly after the birth, but we didn´t want to disturb the bonding between mom and puppies right after the delivery. These precious moments should be as enjoyable and relaxed as possible. The puppies weighed beetween 268g (Nelly) and 338g (Samson). 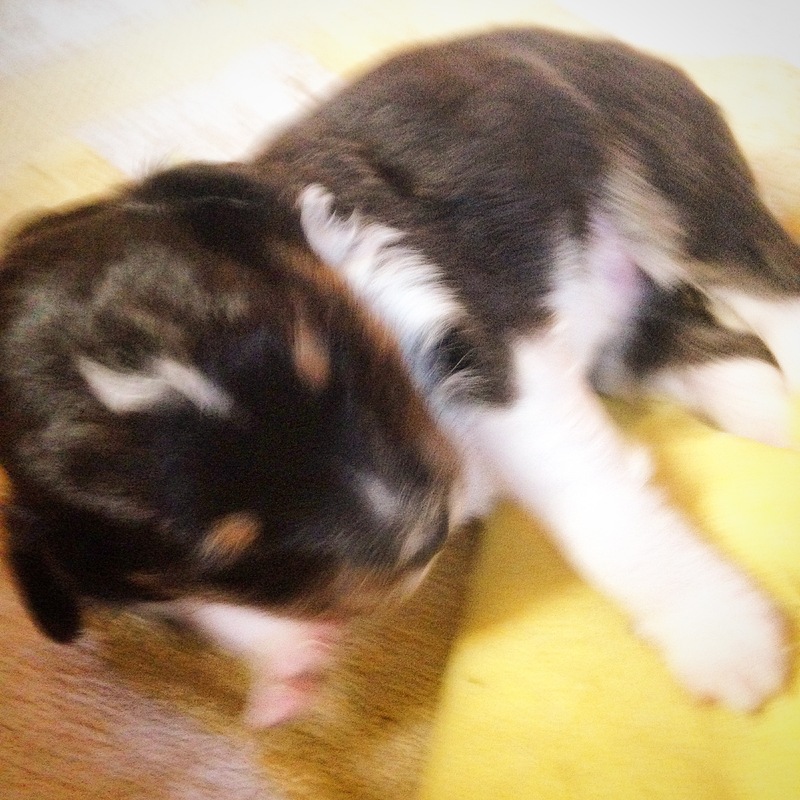 Every day, the weight should increase about 25 g. Only Nelly was a little bit too light, so we tried to give her special milk with the bottle and we arranged extra Nelly-sessions… After about 3 weeks I cooked a special puppie-meal. At first, sift together the butter, sugar and salt in a frying pan and wait until everything is liquid. You should heat the mixture over medium high heat. Afterwards add the outmeal and stir the mixture. 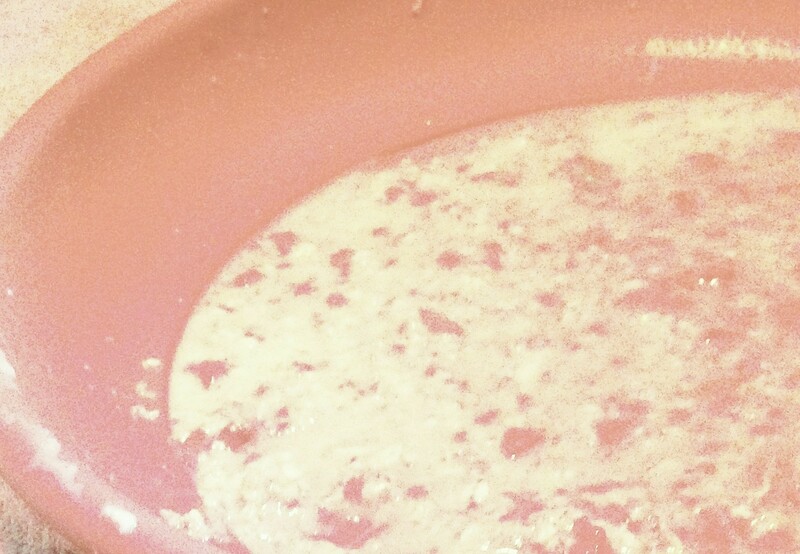 Then add water and stir it again, until you reach a slimy texture. Now the mass hardens quickly. You can always add a little bit more cold water until the temperature feels right. Next pour the egg yolk and the grounded tablet containing minerals and vitamins in the pan. Afterwards add the crushed puppiemeat. 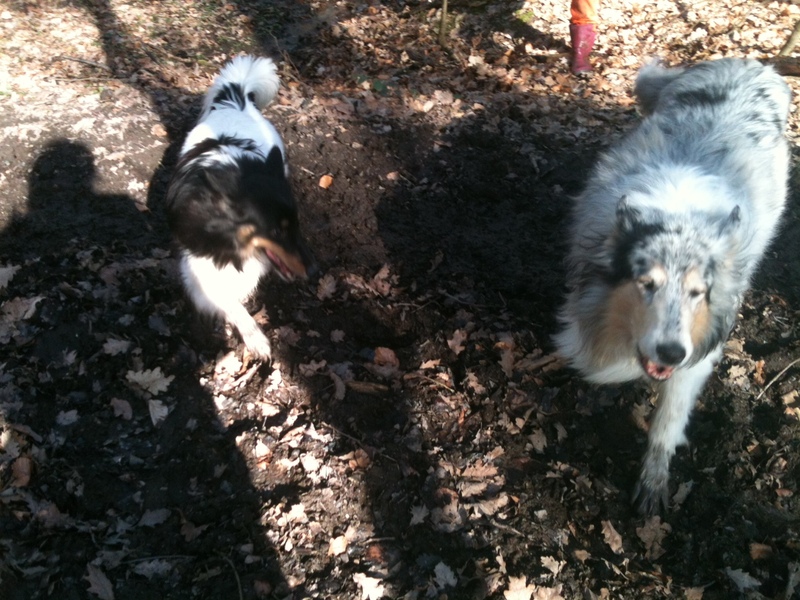 Like before beeing a mom, Aimée is going for a walk with her friend Luna every afternoon. Besides this walk, she can go outside to our big garden as often as she wants. In the evening we pet the puppies to make them bond to humans and I think, both species enjoy it… What did we do to avoid problems? 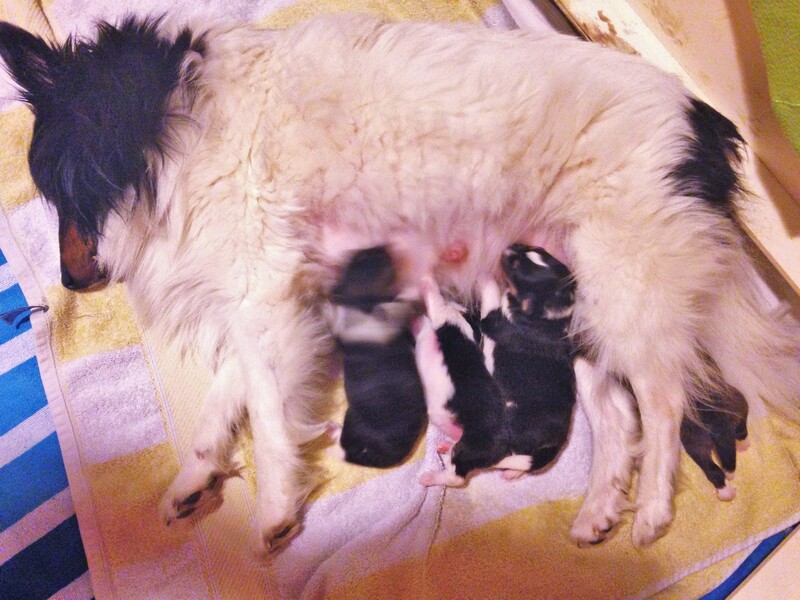 Well, I shortened Aimées hair around her teats to make it easier for the puppies to drink. 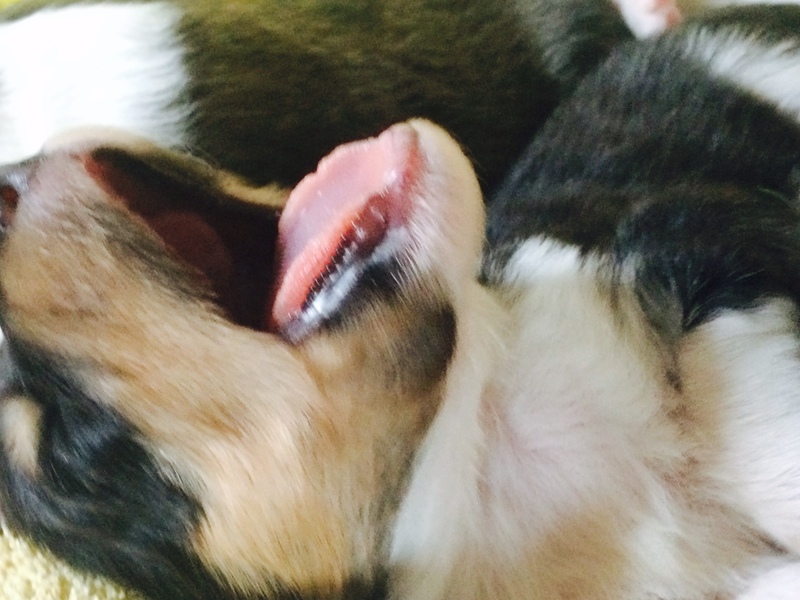 But not the tail… One night, I heard loud cries from the puppy-box. One of them was in the process of strangulating itself with the long hair of Aimée’s tail while trying to drink. The hair was tight around the puppies neck and we needed the scissors to release it quickly. Another word of advice? Buy a good wooden puppie-box, you will really need it. The wall must have a narrow board projecting onto the inside and about 15 cm over the ground. This will allow the puppies to crawl under it to protect themselves, if there is not enough place between mom and wall. 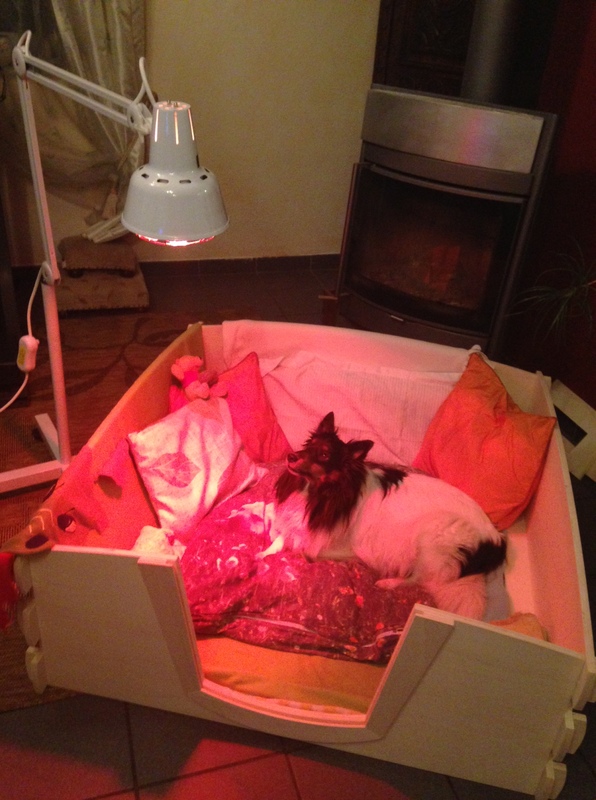 Also you should buy an infrared lamp to warm the puppies when it´s cold outside. The puppies hate to feel cold and get ill quickly. 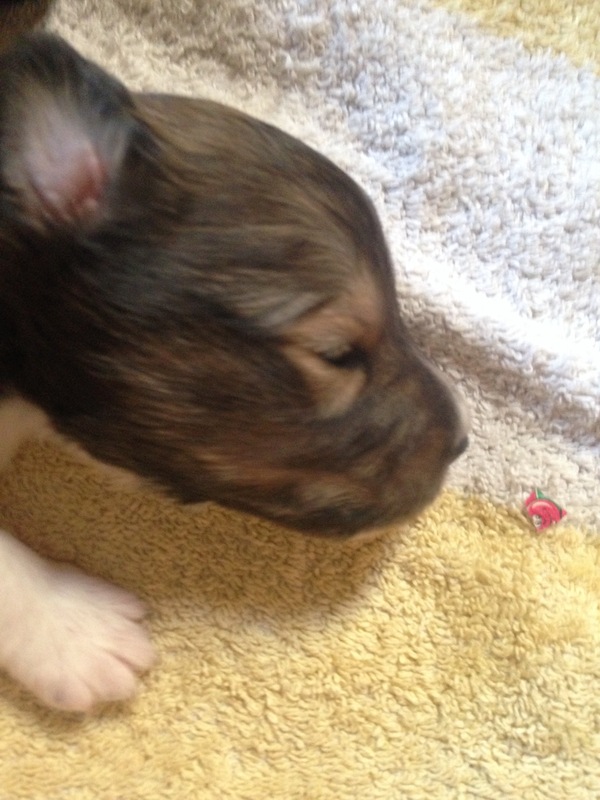 To get puppies will definitely change your life but it is also a wonderful experience you´ll never forget…. 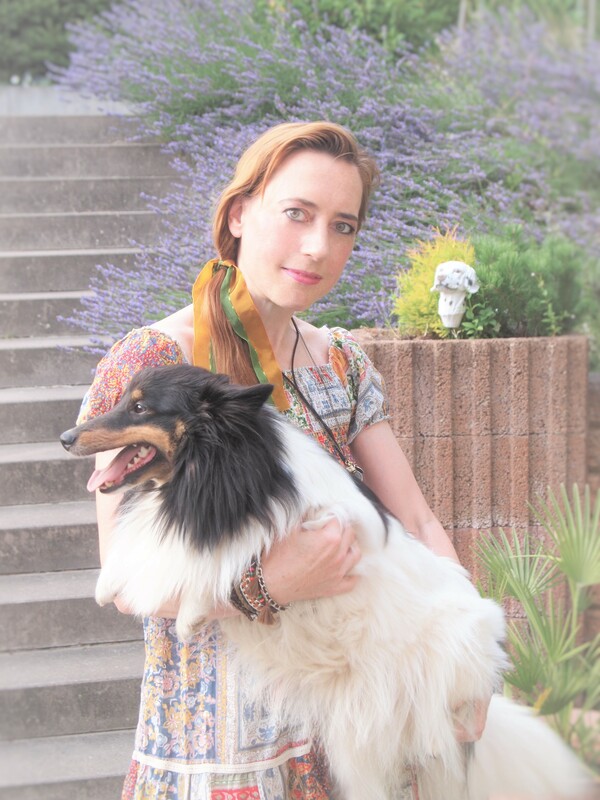 Vorheriger Beitrag New sping outfit – enjoy the first sunny days-… Neues Frühjahresourfit – genieße die ersten Sonnentage! 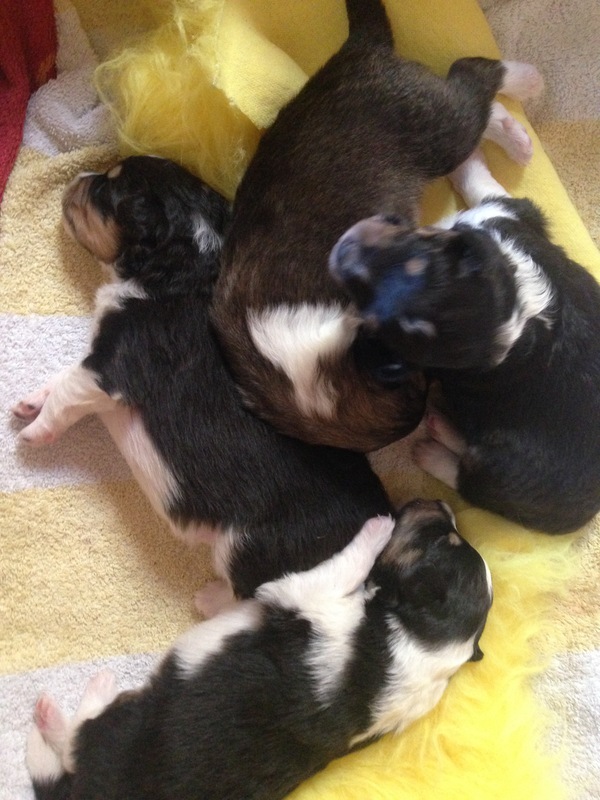 Weiter Update Hundewelpen / Puppies mit neuen Videolinks! Herzlichen Glückwunsch an euch alle! Habt ihr ganz toll gemacht!